Furs by Demetrios suggests the easy-care tips below to help protect your fur and keep it in great condition. Always hang your fur garment on a broad-shouldered hanger. Give the fur enough room in the closet so the fur is not crushed. Never store a fur in a plastic bag. Plastic prevents air from circulating and can dry out the leather. If you want to cover your fur, use a cloth bag. Never leave a fur near heat. If a fur gets wet, shake it out and hang it up to dry in a place where air circulates. Once dry, shake it out again. Never, never comb or brush fur. Never mothproof a fur. If you are worried about moths that is another reason for storing your fur during the warm months. Store your fur during the warm season. Modern storage vaults are temperature and humidity controlled to protect them. Have furs cleaned regularly by a fur specialist (not a dry cleaner). 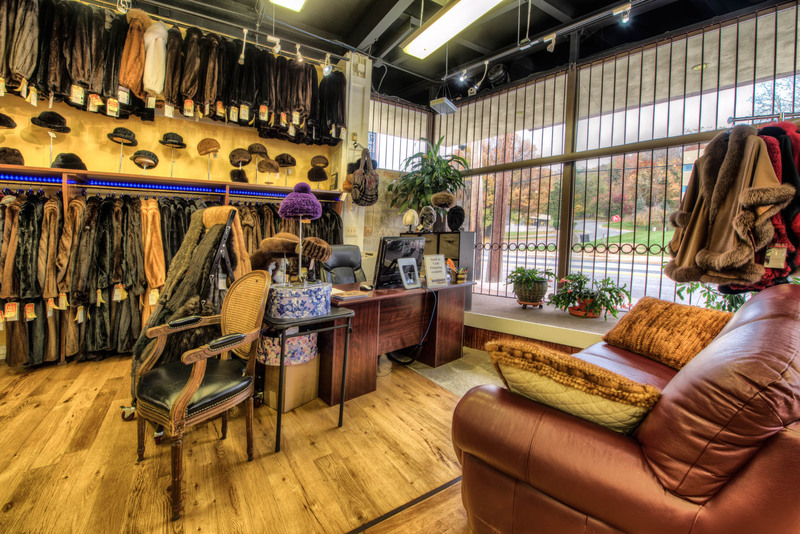 Professional fur cleaning removes dirt, keeps leather soft, and brings back the fur’s original luster, thus prolonging the garment’s life. Repair any small rips or tears immediately by a professional furrier. Avoid leaving a fur hanging in a bright place. The light can cause the fur to oxidize or change color. Do not allow jewelry or shoulderbag straps to rub against fur. Do not pin jewelry or flowers on your fur. Never spray perfume or cologne directly on fur. The alcohol will dry out the leather and stiffen the guard hairs.